and now? she’s gunning to be the first female to coach in the NBA. 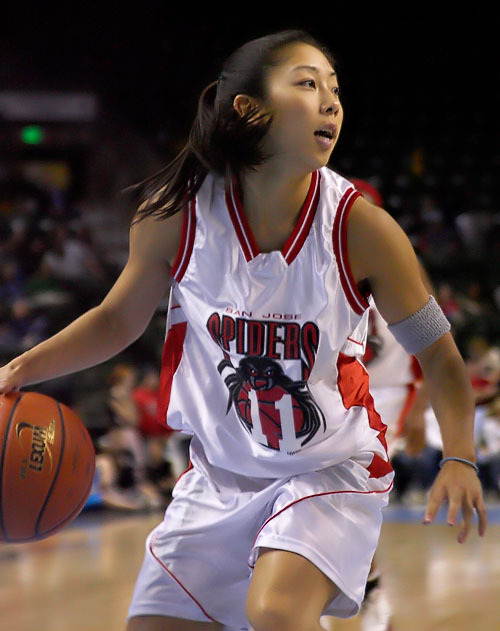 Natalie Nakase as the first Asian American player in the National Women’s Basketball League as a member of the San Jose Spiders. There’s been a lot of focus on Jeremy Lin as well there should be. He’s broken some amazing ground as an Asian American in the college basketball and, now, NBA world. But, let’s also give a shout-out to Nakase who’s a pioneer in the NCAA and NBA in her own right.